House and Office clearance is the process of getting all the unwanted items removedfrom a house or an office. And, it requires professional help to dispose of all the stuff. 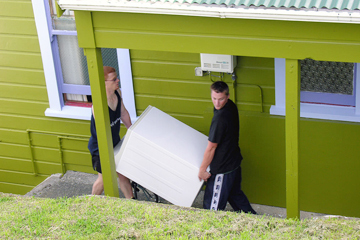 You may require house clearance services when you want to clear your garage, loft, shed, or maybe the basement. Similarly, an office clearance service is required when you move your office to a new location and you may want to get rid of all the old furniture in the office premises. Well, under all circumstances, hiring a professional house and office clearance agency Edinburgh is the best decision you can make. This will take away all the worries for sure. A licence is the first and the foremost point to consider. A professional house and office clearance agency will hold a valid waste carriers’licence and they will also be registered with the Environment Agency. This is a legal requirement for companies that carries, transports and disposes ofwastes from the house or an office. They will have a waste carriers registration number along with their waste carriers’licence. Insurance is necessary, to have a cover in case of any accidents during the whole process of clearance work. As during the removal process of heavy items such as furniture or other such sturdy materials, chances of getting a door or a window damaged is there. There may also be a possibility of having a brick wall damaged during the time the loaded van is taking a reverse gear. So, if the waste clearance company is insured, then you will not have to spend a buck from your own. Pricing is again a significant aspect to consider when you choose a house and office clearance agency in Edinburgh. You need to ensure that you are getting the best pricing for the kind of work. You will need to find out about the pricing offered by various companies and then compare the rates offered by them. Or, you can also go by the reviews of the previous clients. A renowned house clearance agency such as Edinburgh City Removals will offer you a great deal on all their projects. You can contact them anytime and discuss your house or office clearance requirements and get a rate quote accordingly.